The library at Christie’s Education exists to support the needs of students enrolled on our Open University validated post-graduate programmes. External users are welcome to use the library by appointment to access material that is found to be unavailable elsewhere. The library covers art history from antiquity to modern and contemporary, as well as theory and curatorial studies. Particular strengths of the collection lie in the decorative arts and arts of China, especially museum catalogues. We are located within the Learning Resources Centre (LRC) at Christie’s Education, 153 Great Titchfield Street, London, W1W 5BD. Please check the website for our catalogue and contact details. 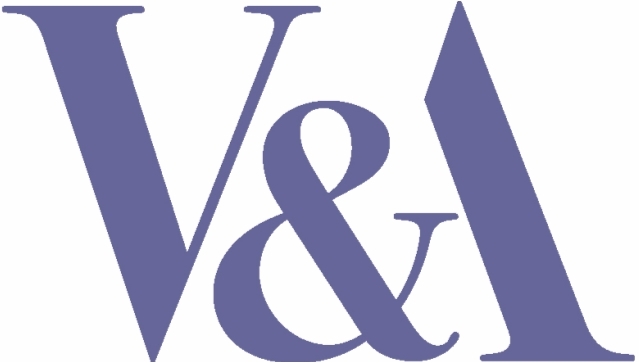 The Library at the Courtauld Institute of Art provides access to a significant art historical collection and is one of the major international research collections of art historical sources in the country numbering more than 200,000 volumes. Its collections cover the history and conservation of art from antiquity to the present day and comprise books, exhibition catalogues, permanent collection catalogues, journals, sales catalogues, theses and dissertations, rare books, pamphlets, portfolios and an increasing collection of material in digital and online format. The collection is strong in Renaissance art, taught at The Courtauld since its inception and developed through bequests from former directors and scholars. In addition, the Library has a very good exhibition catalogue collection of more than 55,000 national and international catalogues. It also has a number of Special Collections housed in the Closed Access Book Store (CABS). These consist of a number of bequests from former members of staff of the institute and scholars with connections to the Courtauld over the years. ​The Stuart Hall Library at Iniva is a valuable reference resource for students, researchers and all interested readers and is one of the leading UK libraries in the field of international visual art. Collection strengths include contemporary art from Africa, Asia, Latin America and the work of British artists from diverse cultural backgrounds. The library collects around art which takes issues such as cultural identity as its theme or question the right to centrality of a Western-centric, mono-cultural art world. In these ways the library works to record a range of opinion with an international and transnational scope. The collection includes over 10,000 books, 200 journal titles and 800 audio visual items. ​Founded by Thomas Carlyle in 1841, The London Library has played a central role in the intellectual life of the nation, serving generations of readers and writers for nearly 170 years. Over successive generations, the Library's membership has included many of the most important writers, thinkers and opinion-formers of the day, alongside the widest range of general readers with a keen interest in literature and learning. Members past and present include Charles Dickens, Sir Kenneth Clark, John Betjeman, T.S. Eliot, Henry James, Virginia Woolf, Winston Churchill, William Boyd and Sir Tom Stoppard who is the Library’s current president. Today it is the world’s largest independent lending library housing a remarkable collection of books, periodicals and reference material from the 16th to the 21st century; the art collections cover art history from the earliest times to the modern period and include a number of online resources. Membership is open to all. Please see our webpage for access information before visiting. The library was established in 1870 with the purchase of the private library of some 2,000 volumes belonging to the late Sir Charles Eastlake, the first Director of the National Gallery. It now contains over 75,000 printed volumes relevant to the study of the history of paintings in the Western European tradition from the 13th to the early 20th century. The library's holdings include: monographs, catalogues raisonnés, exhibition catalogues, and pamphlets; works on iconography; permanent and private collection catalogues from the United Kingdom and elsewhere; early guidebooks and source works consisting of approximately 2,000 titles published before 1850; catalogues of picture sales from major auction houses and commercial dealers; over 250 periodical titles, of which 150 are current. The National Portrait Gallery houses the world’s largest collection of portraits and exists ‘to promote through the media of portraits the appreciation of the men and women who have made and are making British history and culture, and to promote the appreciation and understanding of portraiture in all media’. ​Founded to support these aims, the Heinz Archive & Library houses the Gallery’s Reference Collection of 80,000 prints, drawings, caricatures, silhouettes and medals; a Library Collection of 40,000 books, 160 runs of current and dead continuing resources, and a few electronic resources; and Archives comprising Gallery Records and Collected Archives of primary materials pertaining to portraiture. The Heinz also holds unique files of 600,000 portrait reproductions and an index recording more than 1 million references to portraits. The Paul Mellon Centre for Studies in British Art is an educational charity committed to promoting research into the history of British art and architecture of all periods. The Centre is part of Yale University and has particularly close links to the Yale Centre for British Art. The Centre has three research collections: a library; an archive of the research papers of art and architectural historians; and a photographic archive. The subject coverage of the collections reflects the interests of the Centre: British and Irish art and architectural history from the Medieval period to the present day. The collections on British artists and architects, the British and Irish country house and the eighteenth-century Grand Tour are particularly strong. The collections are reference only and, in the case of the library, mostly on open access. The British Architectural Library is home to the UK’s national architecture collections and is open to everyone, free of charge. Our collection of over four million items, including architects’ archives and drawings, our photographic archive (one of the largest in the world), an unparalleled collection of early printed books, and full runs of journals such as The Builder, Country Life, Studio, Burlington Magazine and Architectural Review are accessible at the Library, housed in the RIBA’s iconic Art Deco building at 66 Portland Place in central London, or via the RIBA Study Rooms at the V&A Museum in South Kensington. ​The Royal College of Art is a wholly PG institution specialising in art and design education and research. The Library is located in the Frayling Building in the Kensington campus and the collection includes over 70,000 books supporting the College curriculum across 6 Schools and 24 Programmes including fine art, design, fashion and textiles, applied art, architecture, communication and humanities. In addition, the Library collections include journals, films and TV recordings and College lectures. We have an expanding range of online resources, including e-books, e-journals and databases covering art and design and broader humanities and social science subjects. Our special collections include the Colour Reference Library: one of the world’s largest collections of published material on the subject of colour. Our archives contain material relating to the history of the College, including a photographic record of student work from the 1950s to the present. Smaller collections include a range of artists’ books by RCA staff and students and international artists. Access to the special collections is by appointment only. The Library is open to external visitors by prior appointment for reference use only and students and staff from other UK higher education institutions can join the Library through the Sconul Access scheme. The Library has over 50 named Special Collections including the Thomas Sturge Moore (1870-1944) Collection containing works of the art critic, engraver and illustrator and the Foskett Uzanne Collection with its materials on Parisian fashion in the 19th century. Access is open to the public but consult the Library's website for relevant membership categories and fees. ​The School of Oriental and African Studies (SOAS) library is regarded as one of the most important academic libraries relating to Asia, Africa and the Middle East. The Library’s current size is estimated at over 1.3 million volumes as well as its archived collections of manuscripts, rare books and special collections and an expanding Digital Library and growing electronic resources. ​Collections include 7 regional collections (Africa; Ancient Near East, Semitics and Judaica; China and Inner Asia; Middle East, Central Asia and Islamica; Japan and Korea; South Asia; and South-East Asia) and 3 discipline-based collections (Arts and Archaeology; Law; Non-Regional Humanities and Social Sciences). With SOAS Library designated as one of the five national research libraries in the U.K., it serves scholars within and outside the School as well as the general public. ​The Library of the Society of Antiquaries of London (ca. 130,000 monographs and just over 600 current periodical titles) covers primarily British and European archaeology (including important current and historic holdings of European archaeological journals), British local history, architectural history (both British and European), the decorative arts (esp. medieval) as well as heraldry and numismatics. Our special collections include 2,000 proclamations from 1464 to the mid-nineteenth century, 1,000 broadsides including a printed indulgence from 1513, the Lowther collection of Civil War tracts, the Fairholt Collection on pageantry, the Prattinton Collection on Worcestershire, the Jackson Collection on Wiltshire, the Willson Collection on Lincolnshire, the archives of the Society of Dilettanti and the Roxburghe Club Library. Sotheby’s Institute of Art Library is a small, specialised resource that supports teaching and learning at the Institute. The library provides key resources for the taught elements of the postgraduate courses and also semester and summer courses. The library houses a print collection of around 22,000 titles of books and pamphlets, covering the fine and decorative arts as well as modern and contemporary Asian art, contemporary design, contemporary art, photography, museum collections, art theory, patronage, connoisseurship, and in particular art business. In addition, the library holds the last 10 years of Sotheby’s and Christie’s sales catalogues. Sotheby’s Institute MA dissertations are available for consultation in the library. External visitors are welcome to make an appointment for material not available elsewhere. 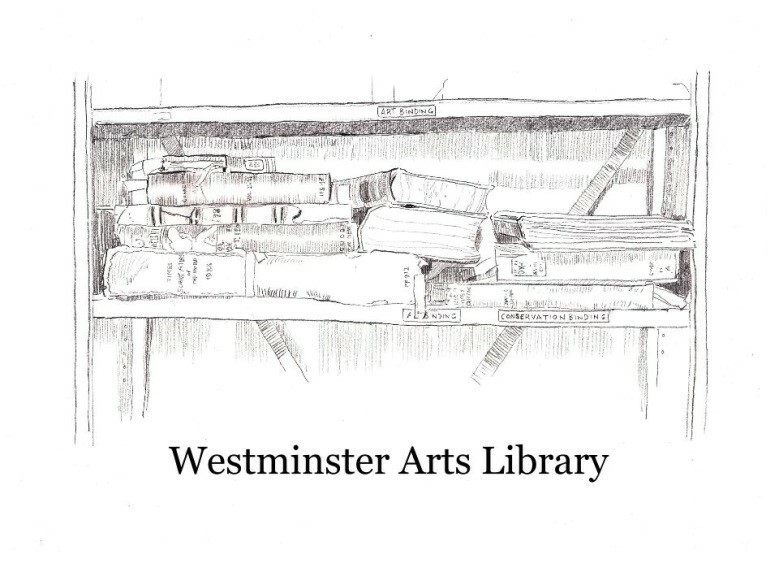 ​The Art collections at UCL are located in the Main Library and concentrate on the history and theory of fine art of the western tradition and its global encounters from c. 1100 to the present, with an emphasis on modern and contemporary international exhibition catalogues and monographs. Visual, cultural and critical theory in relation to art practice is also well represented. The extensive Film Studies collection covers a wide variety of world cinemas and historical moments in film. ​In addition, the Small Press Collections in UCL Special Collections include a variety of independently published artists’ magazines, pamphlets and experimental and visual poetry publications from the 1960s to the present. Each Library collects books, journals and DVDs covering a wide range of subjects in art and design. Camberwell has particular emphasis on Painting, Sculpture, Drawing, Conservation, Graphic Design, Ceramics, Printmaking, Illustration and Photography; Chelsea has particular emphasis on Fine Art, Architecture, Interior Design, Textiles, Graphic Design and Environmental Art and Design, plus collections of artists’ books and multiples; Wimbledon has particular emphasis on Painting, Sculpture, Theatre Design and Special Effects, Fashion and Costume, Graphic Arts, Film, Photography and Architecture. All three Libraries also cover more general interests including history, psychology, philosophy and cultural studies. The National Art Library is free to join for all members of the public, on display of current ID with proof of address. The National Art Library opening times are Tuesday, Wednesday, Thursday and Saturday: 10.00 – 17.30, Friday: 10.00 – 18.30. Old master paintings, French eighteenth & nineteenth-century paintings, French decorative arts of the seventeenth and eighteenth centuries, French eighteenth-century sculpture, Bronzes (Renaissance, Baroque, French eighteenth-century), Sèvres porcelain, Maiolica, Arms and Armour, Portrait miniatures, Medieval and Renaissance decorative arts. The library contains approximately 30,000 books, including periodicals, exhibition catalogues and auction sale catalogues. It also includes on long-term loan the De Walden collection of rare fencing books from the 16th to the 19th century. 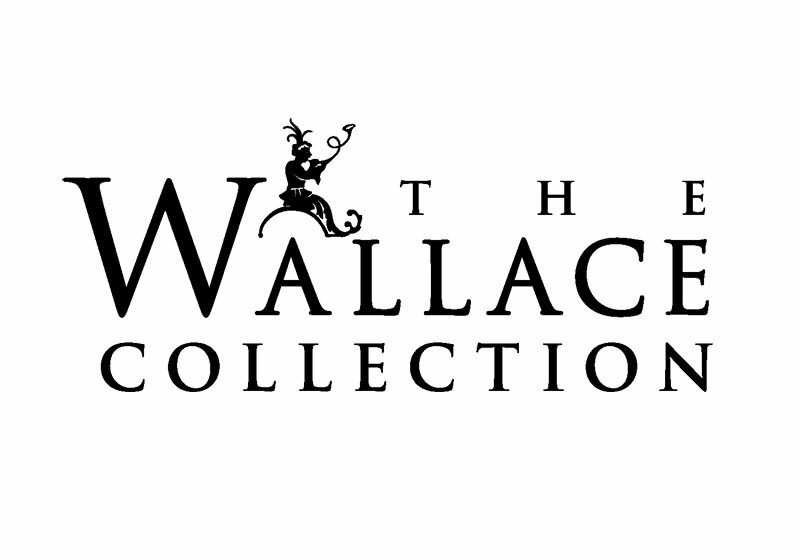 The Wallace Collection Archives contain historical and administrative records documenting the history of the Wallace Collection, its founders and archives associated areas such as French eighteenth century art, princely arms, and the history of collecting. These other archive collections are listed on our archive web pages. A public reference library in the heart of London’s West End with a key subject collection in Art & Design and Performing Arts (60,000 volumes), listed as one of outstanding national significance. We offer a diverse range of arts events and workshops. We use every opportunity to display books from our broad arts collection that tie in with the event in order to promote our stock, services and in fact our very existence! As an arts library, freely open to all 57 hours a week, we see ourselves as a first resort for practitioners, students, enthusiasts and academics alike. If enquirers need more in depth information than we can provide, we know which specialised resources and institutions to refer them to. Our wish is to generate a sense of excitement and inspiration and the aim of these events is to use a traditional Library space as a resource, study and temporary hub of debate and interaction, a ‘creative city’ which opens up to a new and ever changing audience.